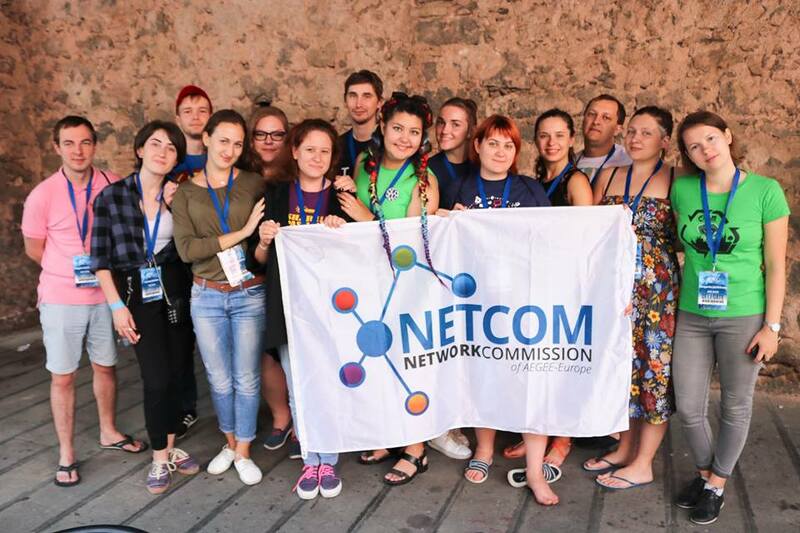 Elena Efremova for Comité Directeur: "It is Time to Go Out of the AEGEE Bubble"
Elena Efremova from AEGEE-Grodno has been involved in several European Bodies, such as the Youth Mobility Working Group, ACT, Chair Team and now she is a member of the Network Commission. Running for CD, the history student would like to apply her mindset to her work, collecting data and researching what has been done in the past, to not reinvent the wheel. 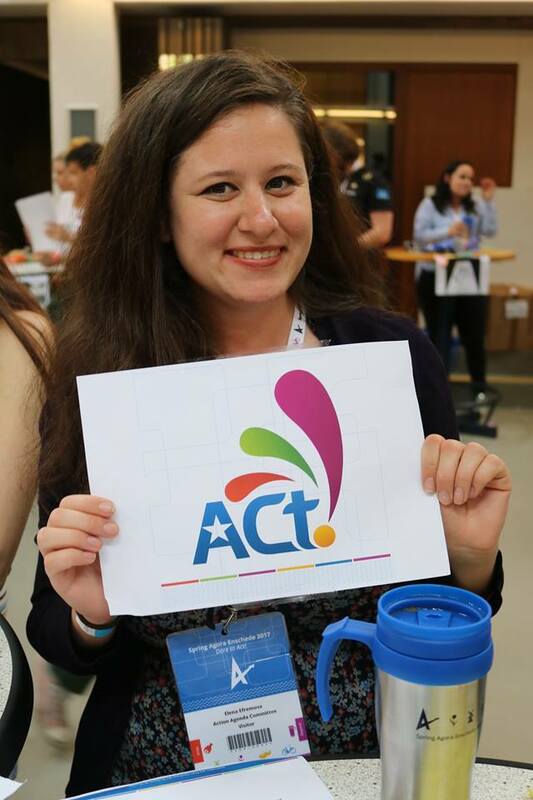 Lisa Gregis: Why do you think your contribution in CD is necessary for AEGEE next year? Elena Efremova: It’s because I am an experienced person with vision and ideas. What can you offer us that the other candidates can’t? Another way of thinking. It is based on several things. First I am a historian. Before taking any actions I analyse if what I’d like to do is needed, if that already was performed and which are the outcomes. For me, there is no future without knowing the past. When others see just bureaucracy in the collection of papers, I see here the source for research and data keeping. I think in a long-term way. Second, I am from the non-EU part of the AEGEE network. I see how AEGEE can act in a new way. Third, I have been a member of another youth NGO – AIESEC – where I saw a totally different workstyle with both achievements and mistakes. How is your ability to make compromises and give up on your own ideas for the good of the team and the organization? During school and university years I played a game called “What? Where? When?” where the team has just a minute to find out the right answer for a not easy question. When you are a captain and you need to give the answer, there is no place for compromise, it is a place for decision. Taking part in that game you learn that it doesn’t matter if you like your ideas more than others when the victory is at stake. If we talk about me now, if I think I have a good idea, I will show the others all cons and pros trying to ensure them to accept it. But, in the end the decision will be taken by the whole team by voting and after the decision is taken there is not the time to think but to act, making the team decision happen. You spent one year in the NetCom, why don’t you want to work in the CD as Network Director? I spent a year being a member of Youth Mobility Working Group, Action Agenda Coordination Committee, was part of Chair Team for two Agorae among other things. I can work on almost any position being a member of the CD. Why not Network Director? When someone is ill, the best way to cure a person is to treat the source of the disease, but not the symptoms. For me, HR and PR are the essential part of troubles locals face each day. We need the promotion of AEGEE among non-members, communication with interested people, work on PR materials, managing of AEGEE Facebook groups – there is a daily work for me for last two years. I see much potential in that. What aspect of your two favourite position appeals least to you? I would ask: which position? In CD or in general the ones that I took? So, I can say that being a Secretary of a statutory event you need to deal with people who do not spell their name and local while asking questions or making comments. Coming to the CD position I would like to take: I think that the PR, HR and Communications Director do not have the clear tasks they need to fulfill their task during the year. How will we estimate an HR success in six months? What exactly means good PR and communication? Newsletters on time or a one-hour documentary movie? Do you have any concrete examples about the ways in which AEGEE has changed the local civil societies during the years you have been a member? First I will say what I mean by talking about “influence on the civil society”. There are actions or events which bring new knowledge and experience in a daily life for participants, helping with the integration in the society or making people equal towards each other. I can call some examples of actions which I heard locals did. Lectures about recycling with the action on the collection of garbage. Social entrepreneurship sessions for youth for example. Therefore, there are not many. Either there is a problem with the estimation: as results take time and the evaluation at the end. Anyway, it is something we really can work on as an organisation. It is time to go out of the AEGEE bubble when during events – even with deep content – we just sit in the room and discuss. It is time to get funds not just for conferences but for concrete actions with outcomes. If you could not be elected who of the candidates for your position do you want to be elected and why? In your candidature we can read that you want to focus more on guidelines and booklets for locals. It is known though that in the modern digital era, no young people around the world want to read instructional booklets anymore, that’s because they want to figure out how everything is working by themselves and in case they are not able to they just abandon the thing on which they are trying to work on. How do you plan to adapt AEGEE to the needs of its users? I would like to ask based on which research that conclusion is done. Just answer me, there is a person in your local who wants to learn about Illustrator to edit good quality pictures. He asks you: “How can I learn Illustrator?” What would you answer? “Just play and learn by doing?” or “Go to Illustrator courses and buy the book about it?” Basically, both answers are true. The question is what is important? The process or the result? Go to the closest bookshop and look how many books there are about social media, Instagram, Facebook, event management. You can learn almost everything in your life from A to Z reading books. Would we have so many “guidelines” and ”booklets” if there is no market demand? I do agree that process of learning should be interesting. That’s why I want to make online courses and games, bring more interactive learning into AEGEE. Therefore, I do not agree that we do not need information written down. We struggle in AEGEE with knowledge transfer. It is enough if you only once do not transfer some knowledge on time or right and you lose time recreating the wheel. Just look on the situation with the minutes of Agorae. I think that planning to make funds accessible for the whole Network is the right path, but we know that the real Europe works with political and economical agreements and different levels of involvement of a country in the European Union, ad so it comes its ability to get funds. How do you plan to get those funds and overcome the European Union gears? I think we just need to look for grants for countries and projects outside EU. With the continuation of grants we have and the ways we are getting them, we just need to be more open and interested in other opportunities. It is not hard. What is your vision of AEGEE in five years? People in AEGEE change stuff each Agora. There is no strategic planning or vision in general. I cannot say how AEGEE will look like in five years, as I even do not know what will happen in three months. That’s one of the problems we have as an organisation. With change of teams we change the course. Question one: Based what happened within CD55, how would you prevent resignations within the team? I cannot talk about something I do not know. Nobody except members of CD55 know what exactly and how it happened. Talking in general, I want to have respect inside the team and responsibility. When you are busy doing your own stuff, there is no time to fight or make drama. Question two: What do you think about the antenna criteria proposal proposed by CD? Being a member of the Network Commission I share the opinion of the whole team, who voted not to be part of that proposal. You can read Elena’s full candidature here.